Snaak is precision engineered, patent granted technology. The snaak cuboid units are specially designed to interlock so that complex semi-permanent shapes can be built. Units are injection molded in high impact engineering polycarbonate. Snaak units run on high-spec shock cord first developed for the military and aerospace industries. Snaak units are derived from a ½ inch (1.27cm) cube. So you can use snaak as a 3D tape measure! Extended into rod, snaak measures 32 inches (81cm). Folded into square, snaak measures 4 x 4 inches (10 x 10 cm). Folded into cube, snaak measures 2 x 2 x 2 inches (5 x 5 x 5 cm). snaak weighs 2.50 ounces (71g) approx. Patents and trademarks granted and registered internationally. Excited by the power and beauty of geometry, and the potential to create art that people can play with, connect with beyond the conventional art space. Influences in the creation of snaak include Constructivism, the Indian Rope Trick and the biblical accounts of the Staff of Moses and Aaron's Rod. Gideon says "Reject easelism. Join the snaak vanguard!" Snaak funded over 200% on Kickstarter with 1,153 backers! - thankyou to each and every one of you. 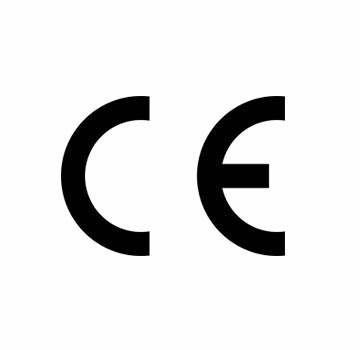 Tested and compliant with EU safety standards. Conforms to Proposition 65 safety standards.